TC Tuni is tracking southeast at a speed of around 17 kph. The updated track from the Fiji MetService below shows that TC Tuni is forecast to pass northeast of Niue on Monday, still maintaining its class of a category one cyclone. 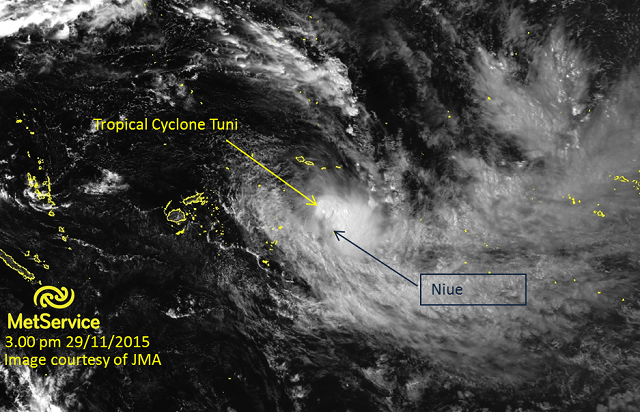 A tropical cyclone alert has been issued for Niue.